Time to cut the tails off another shirt! Congrats to Gary and instructor Batelle for soloing in a taildragger. 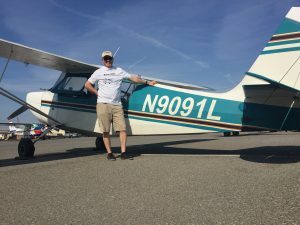 Tags: california, citabria, first solo, reid-hillview, San Jose, student pilot, taildragger, tailwheel.